This entry was posted on August 31, 2014 by Christopher Martin. 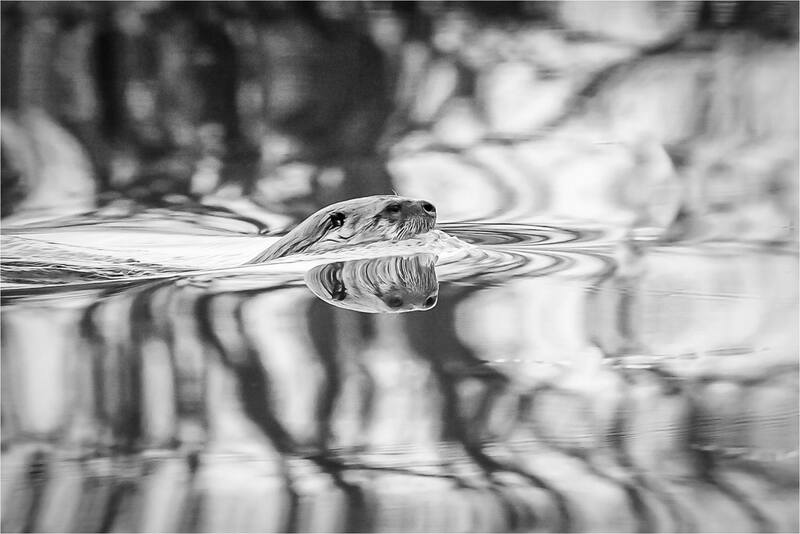 It was filed under Otter, Wildlife and was tagged with Black and White, British Columbia, nature photography, Radium, reflection, River Otter, wildlife photography. Beautiful shot. The B&W reflection makes the water look like quicksilver.